As someone who is particularly inspired by the need to modernize the credit lending and borrowing process for underbanked Americans through dynamic technology and data systems, I was very encouraged to see the Treasury Department’s assertion that fostering innovation in the FinTech space has the potential to benefit underserved individuals and small businesses. It’s easy to overlook the societal impact of the growing FinTech world and I was pleased to see the report’s specific promotion of business models that are using new types of data, algorithms and data processing to expanded access to credit for Americans who have been traditionally locked out of credit lending options. These recent developments come at a crucial time for our nation. The findings outline the country’s imminent need to begin actively promoting and supporting innovation within the U.S. financial sector by modernizing both the financial services marketplace and the systems by which it is regulated. 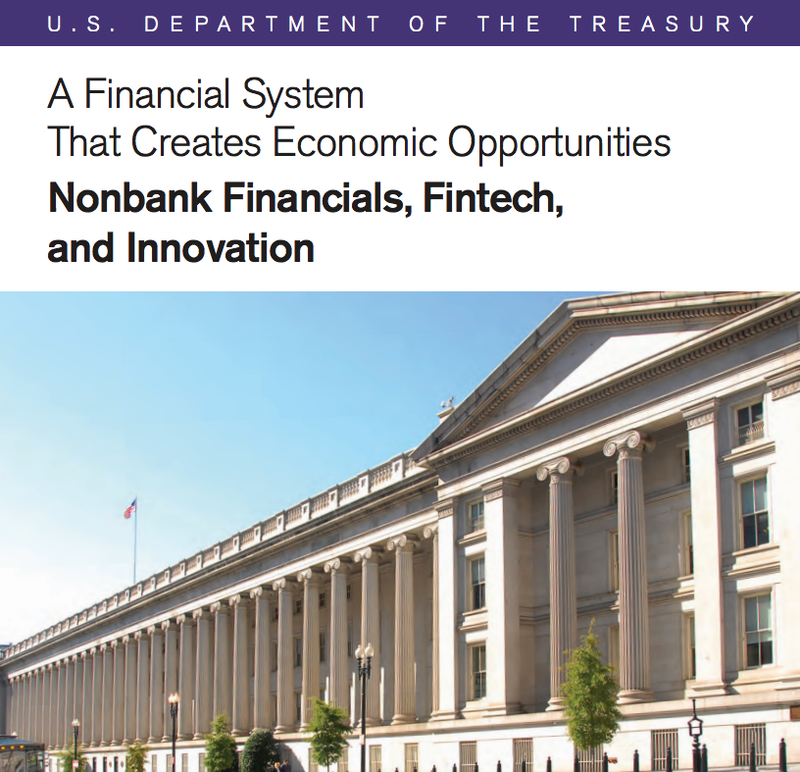 Both the report, and the subsequent policy statement from the Office of the Comptroller of the Currency that followed, promote the growing need to support new business models, open up and support collaborative opportunities between traditional banking institutions and FinTech companies and, ultimately, move toward creating a comprehensive financial innovation and regulation program more fit for a 21st century economy. When it comes to fostering a regulatory environment that supports healthy competition and experimentation in the FinTech space, the United States is behind its global competitors. This past month, Spain added its name to a growing list of countries constructing and implementing programs to provide FinTech firms with a controlled, predictable framework to operate from. Creating a legal framework encourages an open, proactive environment between FinTech firms and regulators where ideas can be considered in a productive way. Taking a more proactive approach like our global competitors has the potential to protect American consumers against regulatory uncertainty while simultaneously driving down service and operational costs. It’s time the United States modernize its fragmented system of state, tribal and federal laws in order to communicate American global leadership in the FinTech space. The federal level recommendations made to financial regulators in these most recent findings are a much needed first step in coming to a unified solution to modernizing the financial sector in the United States. In addition to bolstering the U.S.’ reputation as a global competitor in the world of financial technology, efficient FinTech regulation will allow and encourage young entrepreneurs to engage in competitive experimentation with new technologies. I believe good things will come from starting this conversation and I am excited to see where it takes us. Check out my BlockDelta profile for my contact details.